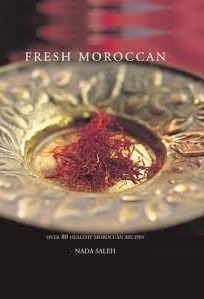 Fresh Moroccan is a healthy way to enjoy the delights of North African food. Encompassing all the delicious herbs and spices of North Africa, the recipes use less fat and less salt while retaining all the authentic flavours of Morocco. The recipes are simple to prepare and suitable for all occasions, from quick and easy weekday meals to more inventive dishes for entertaining. Choose from a bowl of rich, spicy Harira soup, a mouthwatering tagine such as the Fish Tagine with Couscous, traditional Briks with delicious fillings of goats' cheese or prawn or an authentic Moroccan dessert such as Gazelle Horns or Ghoreiba.